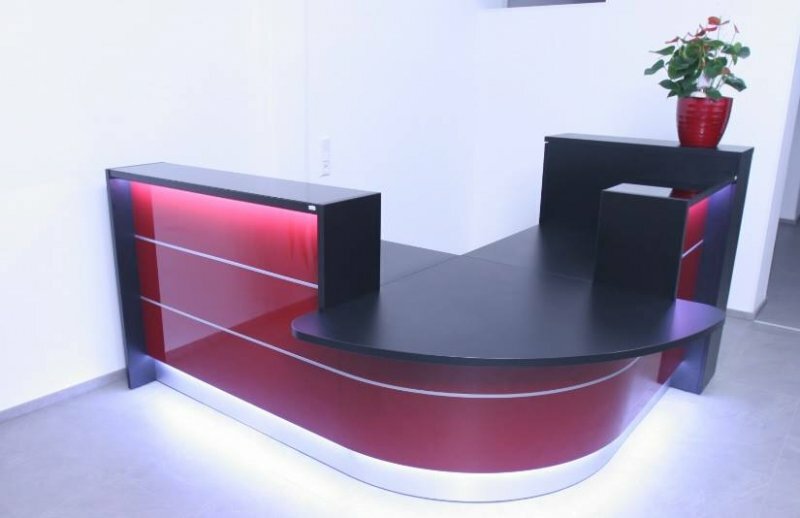 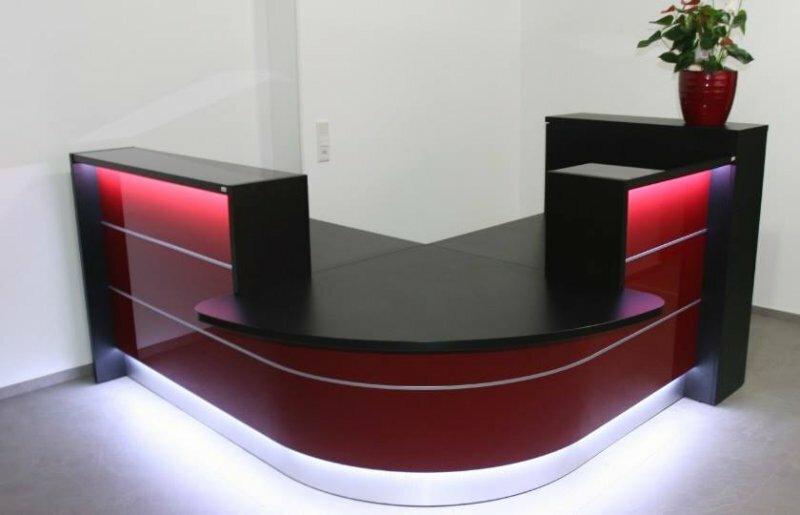 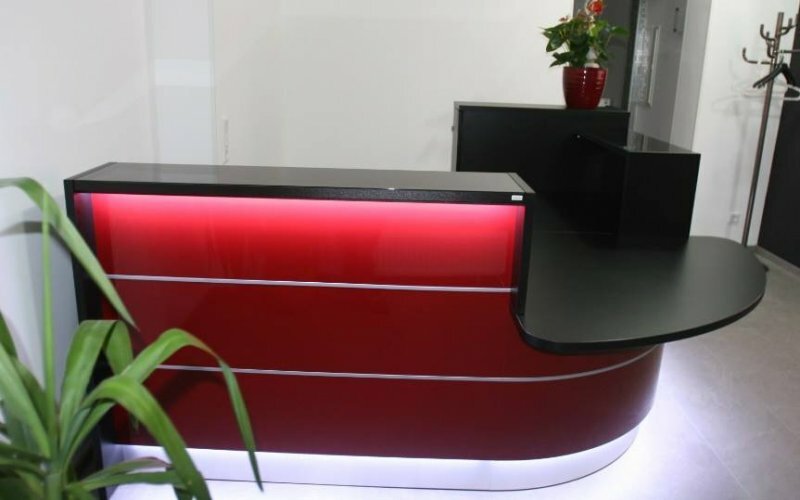 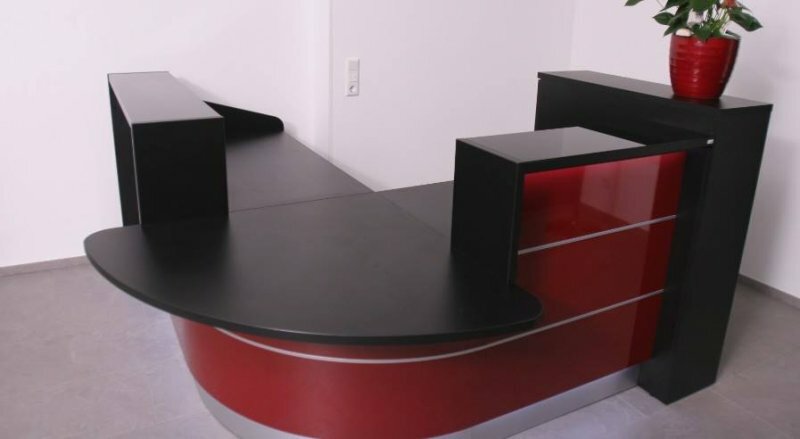 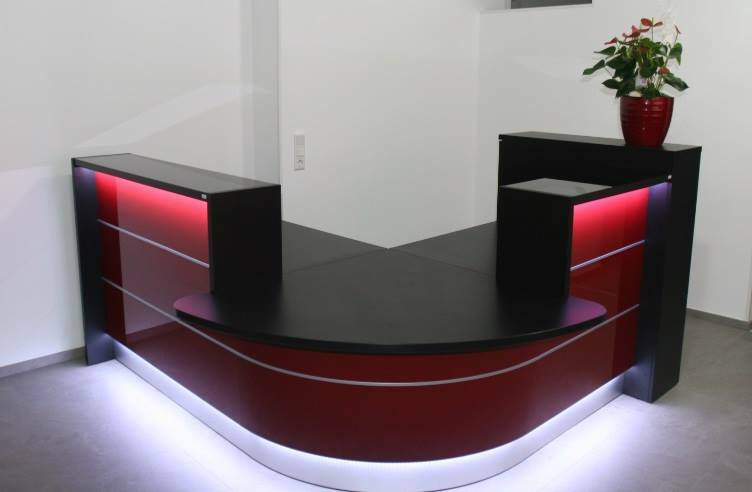 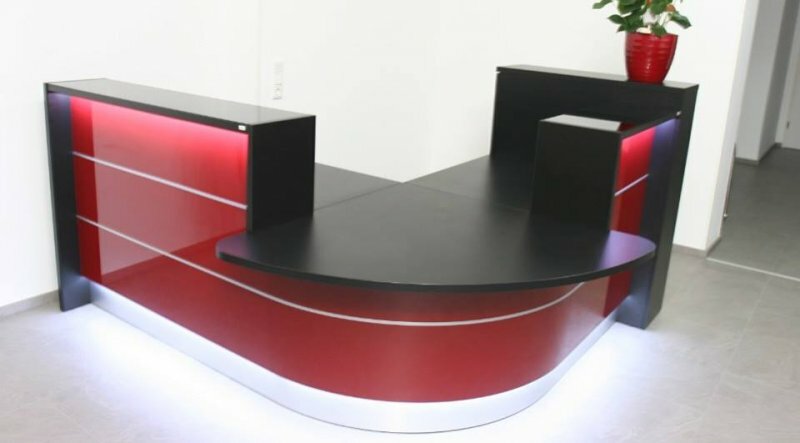 Here we present a precious version of our famous reception desks. 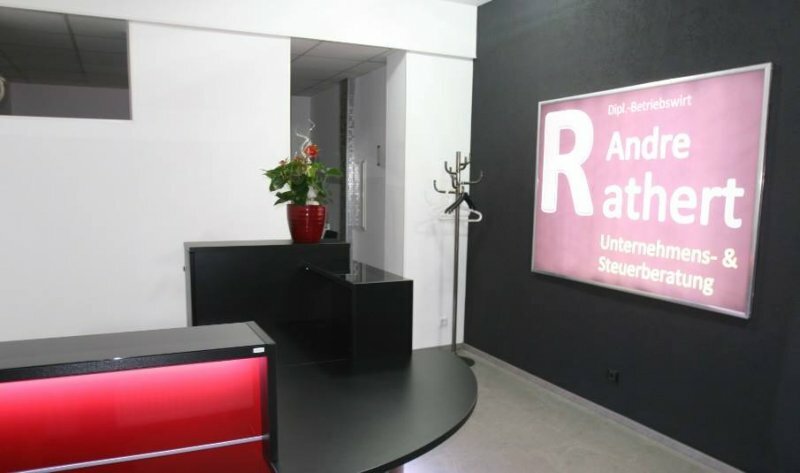 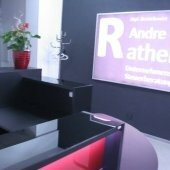 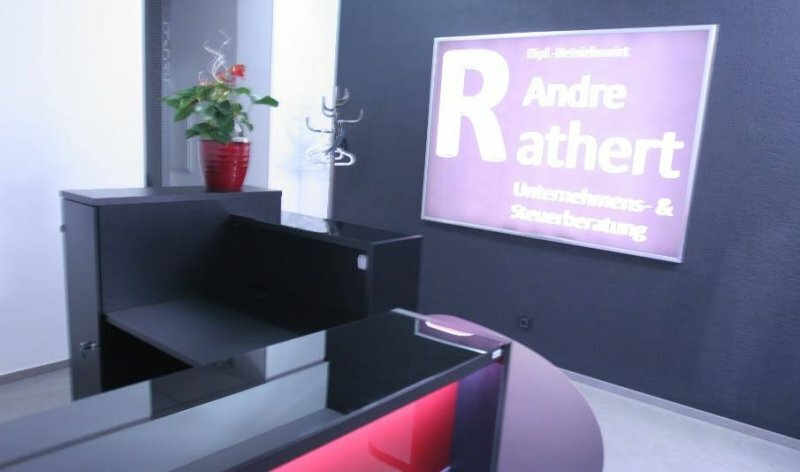 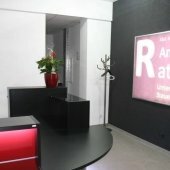 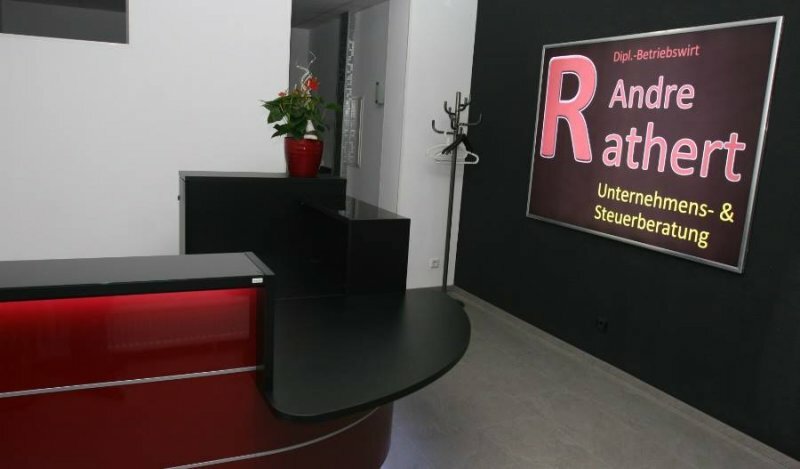 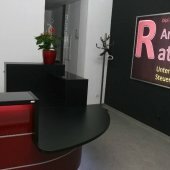 Andre Rathert tax consultant businesscouch in Minden Germany redesigned his offices and the reception got a new view spot. 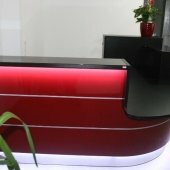 The front is in bordeux red with a black body. 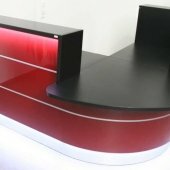 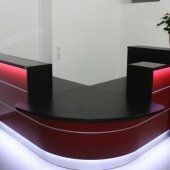 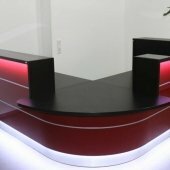 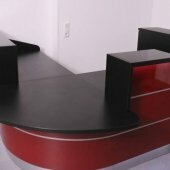 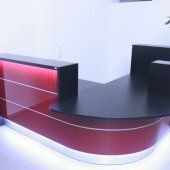 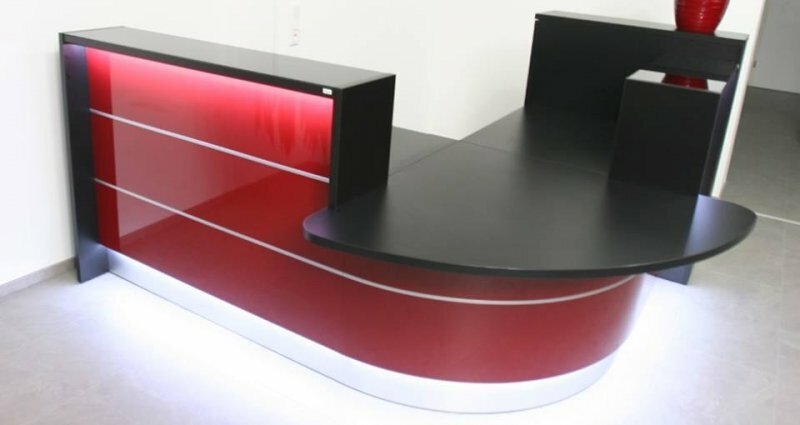 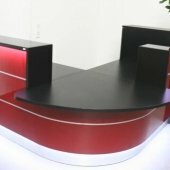 The working desk is also in black and fits noble to the highgloss front wich became a design element through the LED lights.